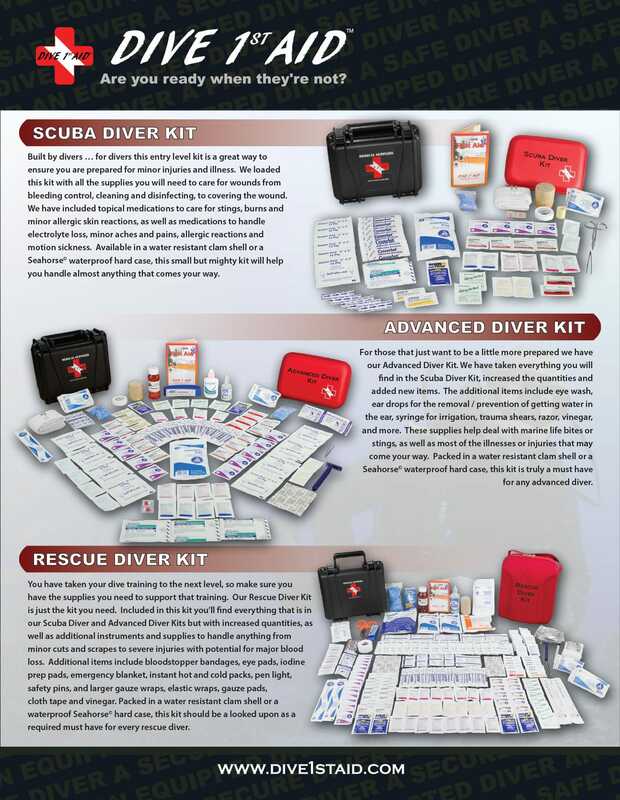 Dive 1st Aid Info Sheets showcasing 14 different kits on 5 pages. 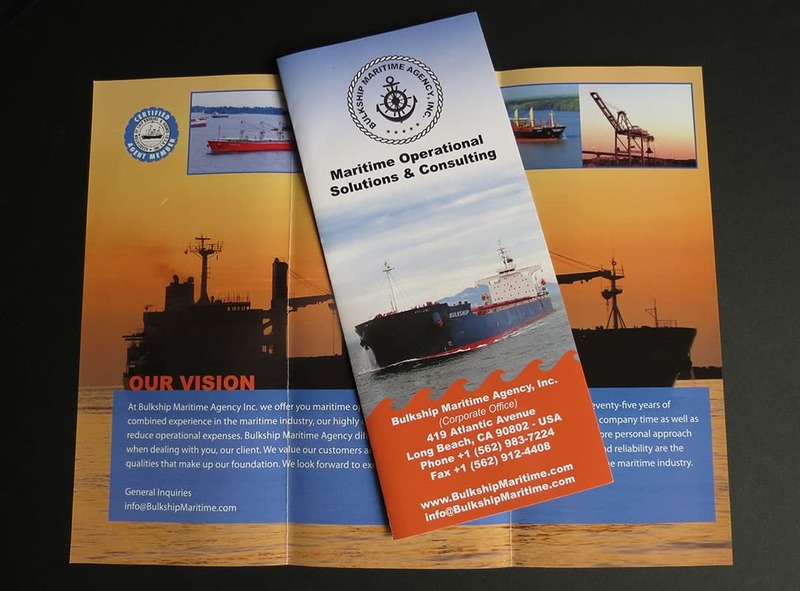 Each info sheet is organized by category and distinguished by colors that match elements in the products. 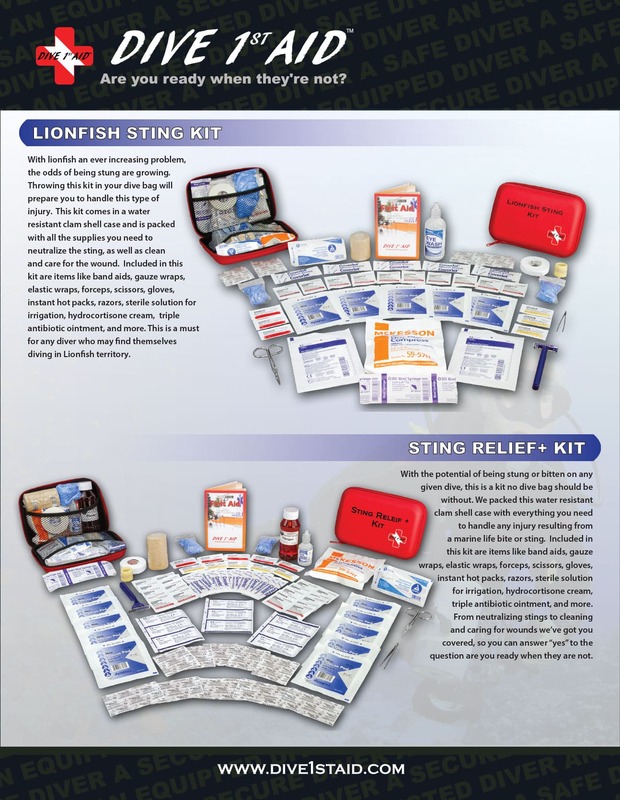 Detail description of what is inside the First aid kits. 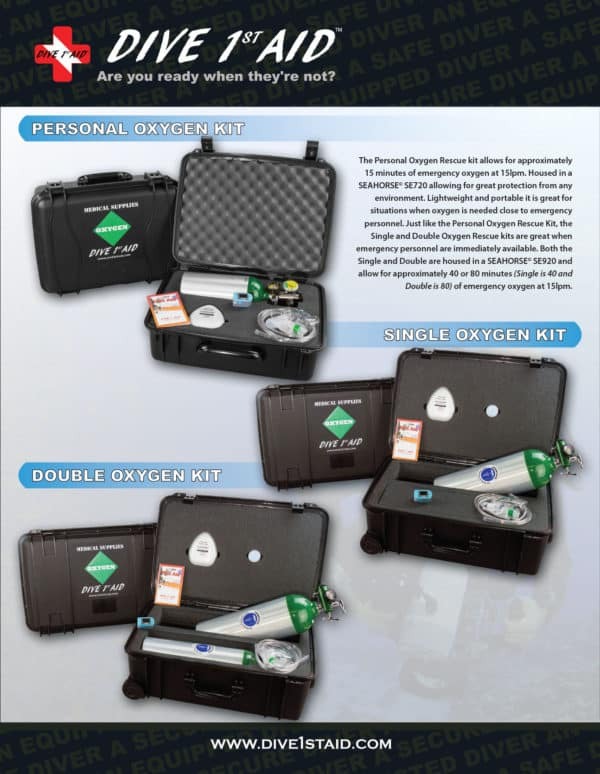 Personal Oxygen Kit, Single Oxygen Kit, Double Oxygen Kit, Save a Dave Kit, Advanced Save a Dave Kit, Pro Save a Dave Kit, Dive Master Kit, Instructor Kit, Pro O2 Kit, Lionfish Sting Kit, Sting Relief+ Kit, Scuba Diver Kit, Advanced Diver Kit, Rescue Diver Kit. 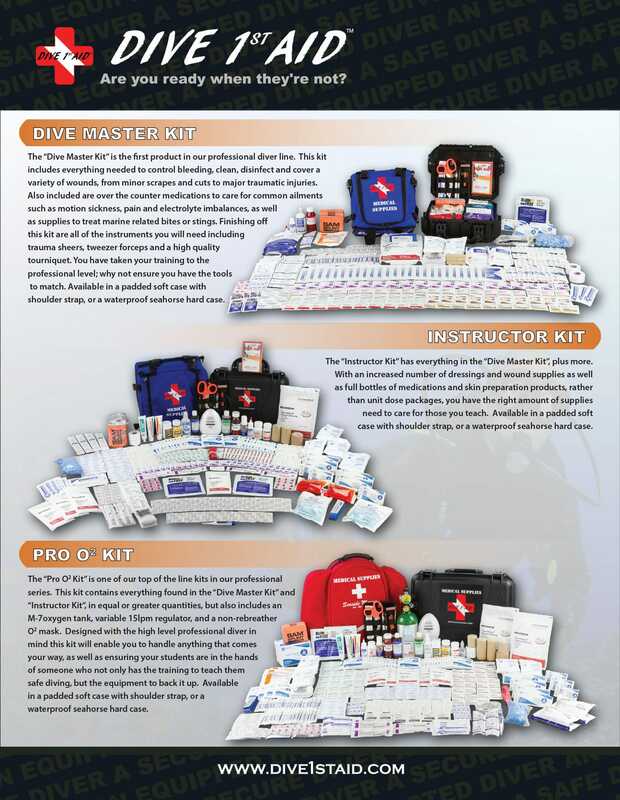 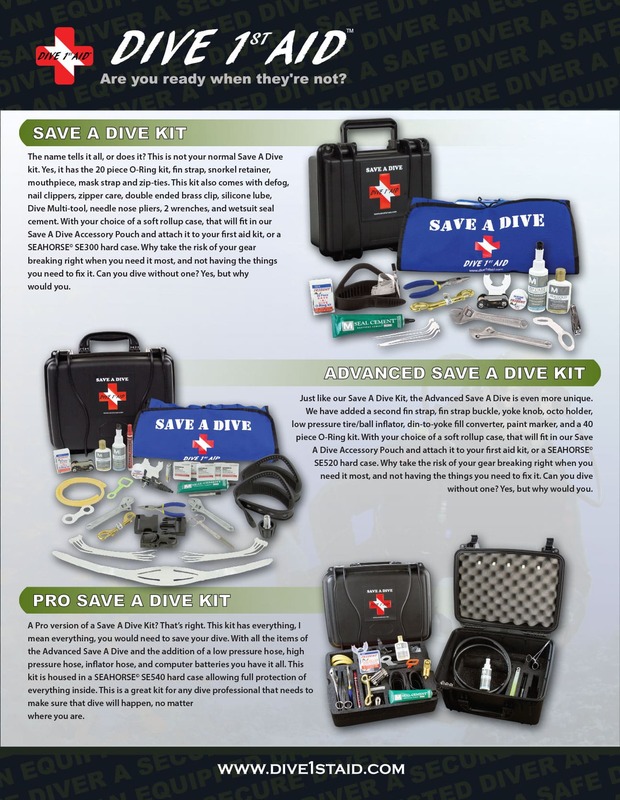 Dive 1st Aid is the leading provider of 1st aid kits for all levels of Scuba Divers.